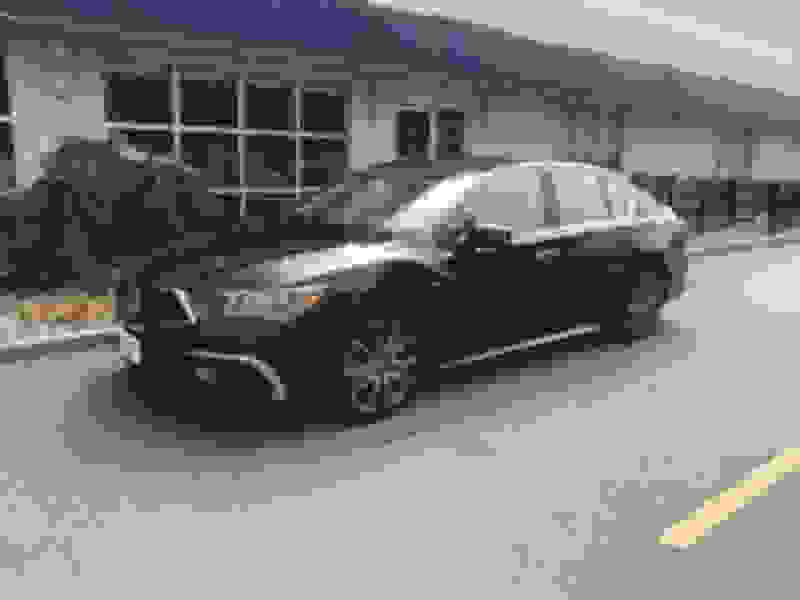 I reported a month or so ago about the latest with our 2012 TL SH-AWD Tech. That post probably jinxed it, because we no longer own a TL. 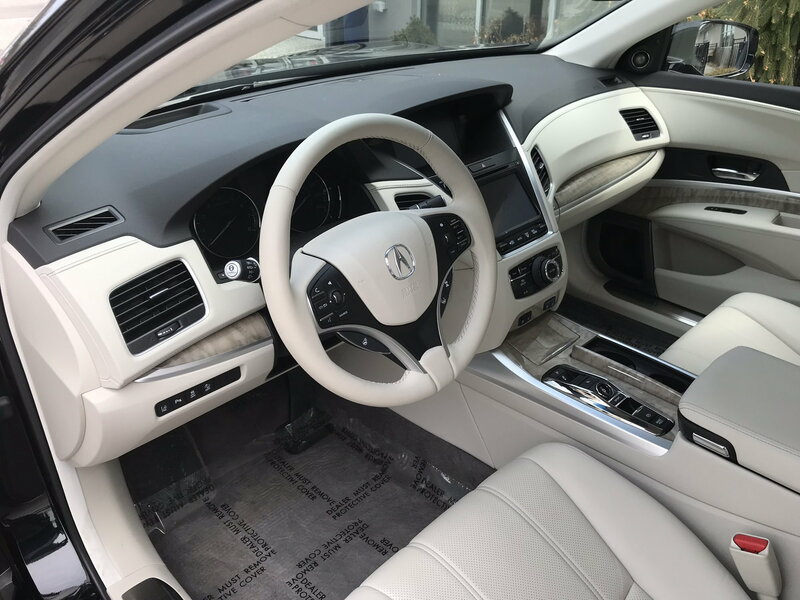 She had not been a fan of the TLX since it seemed to lose some of the sporty feel she had in her TL, and didn't really upgrade some of the luxury features she said she wanted in her next car. So I think you know where this is going. Our local dealer had an '18 CPO pop up on their web site late last week with only 1200 miles on the clock. She went this weekend, drove it, fell in love, and made the deal on it. So what's the car? 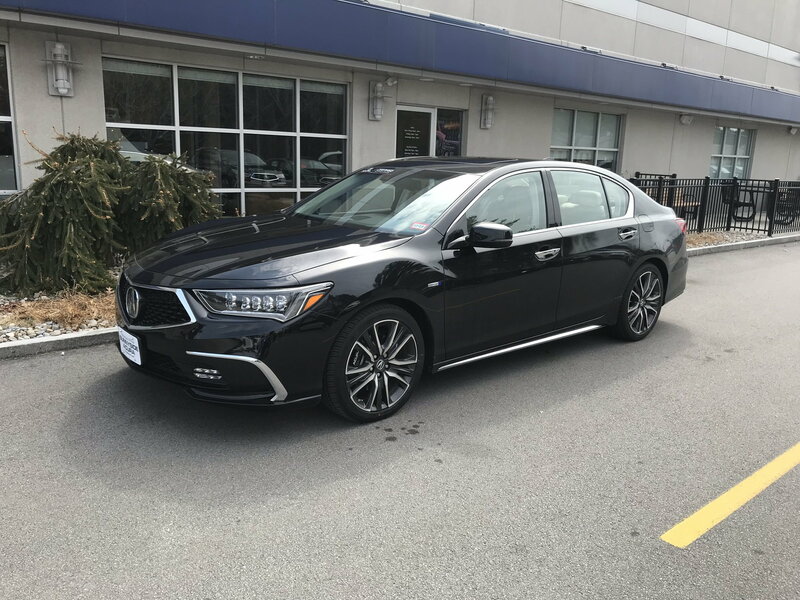 2018 RLX Sport Hybrid advance. Black exterior with Seacoast interior. It's CPO but like new. She ended up paying $46,500 for it with full CPO warranty. Only 1200 miles. It's a lot of money, but it's probably the last car she'll buy as she heads into retirement. I will say that this car is a BLAST to drive - perhaps the fastest car I've driven. And it handles amazingly well. I can see why people like the MDX Sport Hybrid. Below are a couple of pics of the car - dirty because it had rained - but gives you an idea. If anyone is looking for a lightly used '12 TL SH-AWD Tech with 55k miles, check out Sunnyside Acura in Nashua NH. They haven't posted it yet, and not sure how long it'll last. oh myy, she's a beaut! Gorgeous! Congrats! And that sounds like an excellent price for a Sport Hybrid Advance with only 1200 miles. Love the colors, particularly the interior. Congrats! Congrats the interior looks awesome..
Beautiful car! Congratulations. Once I pay my TL off I plan to give it to my fiancé and buy an RLX myself. I was looking for one on my local dealerships website, couldn’t find one new or used. Must be a special order type vehicle. New to the CL world but not to Hondas! Leaving the Forum...but not without giving some free stuff away!